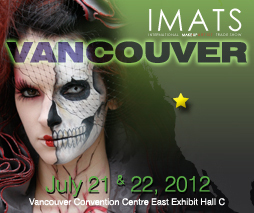 It may be too soon to start talking about IMATS again, but for those in the know, know that you gotta plan these things out early! I have been drooling over other bloggers IMATS posts this past year in absolute jealosy, such as Kandee Johnson, JLovesMac, ItsJudyTime, JulieG and Dulce Candy. If you read about me not being able to go to Caper, I was pretty bummed and I think the only way to pull me out of the funk was to plan a trip to go SOMEWHERE, so it was perfect when I was talking to some girls at school, and they mentioned they were going and that they have never been before either. I got so excited! My hubby knows how bummed I was about not going to Caper, so he agreed that we should go. I know most men prolly wouldnt like to go to a Makeup Event, but my hubby sometimes gets more excited than I do over makeup. Its so cute! I am sooooo excited to go! I bought our tickets friday. We plan on driving and well find a hotel somewhere near the venue. I will of course be bringing my Videographer...AKA My hubby and will film footage and bring you along. I know it is still about 6 or 7 months away, but TIME FLIES! I hope this inspired you to go out and get more involved in your art or makeup or styling! 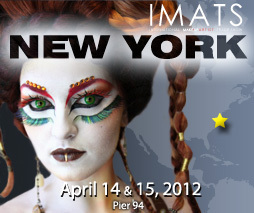 I know IMATS always inspires me!